This posting is not what you think. George Vaughn was my grandfather, born in West Ogden, Utah, his father and family were immigrants from Durham, England who had spent a generation there after leaving the Black Mountains of Wales. My Grandfather saved up some money during WWII working at the Ogden Arsenal, later the Ogden Defense Depot where he ended up as a Superintendent. He went to Nyssa, Oregon in that unofficial Mormon migration after the war along with people he knew. His intention was to buy a grocery store. His family and certainly my Grandmother and her family were shocked when he came back with a deed to what was referred to as a pool hall - in actuality a bar - the Olympic Club. Then, in 1953, he sold the Olympic Club and with a partner to help finance, and Grandpa to provide the management, he converted the old dance hall at Gayway Junction, a three-option highway choice to Ontario, Oregon, Fruitland, or Payette, Idaho. Grandpa once told me the reason why he left the Olympic Club that I have never been able to corroborate with any other member of the family - the sort of thing you might want to do with Grandpa George. But sometimes Grandpas confide in their oldest grandsons things they wouldn't tell anyone else. He said that one day my aunt was crying and when asked the reason why, she said that one of her friends' father had lost all his paycheck gambling at the Olympic Club. My Grandpa, in self reproach responded (as he told me), "That is no honest way for a man to earn a living!" My aunt does not remember that story from her teenage years. However it happened, he sold the pool hall and went into the bowling-alley business. January 4, 1954 - My Dad writing home: ". . . . "How's the nickel machine? . . ."
January 6, 1954 - My Grandmother to my Dad: ". . . . The Nisei Major league bowled last night and fed nickels into that machine as fast as I could hand them out. . . ."
January 14, 1954 - My Grandmother: ". . . . The Idaho law abolishing slot machines also took away the nickel machine at the GayWay, so we have lost that source of income. . . ."
I’d like to talk to you just for a minute if I can without breaking up about a George Ellis Vaughn that probably a lot of you didn’t know, the George Ellis Vaughn that ran a “bowling center.” He ran a bowling alley in the “Payette area.” Actually, I've got to tell you this, the name of the bowling alley was “Gay Way Bowl.” Now mom picked the name. Dad converted an old dance hall that was known as the “Gay Way” at an intersection between Fruitland, Idaho and Payette. And she said, “You know ‘gay’ used to be such a nice word.” Regardless of your tolerance of other lifestyles, it’s meant something else lately. And it was painted pink, folks. And it was in Fruitland. I mean it made the paper in San Francisco in Herb Caen’s column. Somebody came by and just could not believe all that. And I’ll tell ya, I’m not a fighter, but I had chances, I did. It was difficult sometimes, but we got to love that old place. What makes you come so soon? And now you come at noon. Folks, I did that! And it worked! I got to know my dad the best at the bowling alley. In fact he became known as “Bowling Alley George.” That’s the way he answered the phone. “Bowling Alley George.” We weren’t sure if it was an identification, but it worked. He wrote a column for the paper, “Down the Alley.” “Down the Alley?” Yeah, “Down the Alley.” And that ran for years and was fun to read. Mom still has some. Oh, some of them humorous, some of them very, very serious. We had a bunch of characters in the bowling alley. The family knows these. Doc K___ had no back swing at all. He looked so ridiculous. And J___ P____ swung so high that the ball was above his head. I mean it was one extreme to the other. We got to know those folks pretty well. But the folks, and we’ve listed them here, I’ll tell you who they are. The honorary pallbearers, Abo, Manuel, Cousin and the rest. We didn’t know some of these folks’ last names. But they set pins for us. Some of them were in between jobs. Some of them were expatriates from other countries without portfolio and were deported later. Cousin, we knew him as “Cousin.” We didn’t know his name. I don’t remember if he didn’t know what we were asking him when we said, “What’s your name?” or what. But he obviously couldn’t speak English. But he was somebody’s cousin and so, thanks to Larry that’s the name that he went by. And folks, that’s the name we made his checks out to, “Cousin.” And of course in a small town they cashed them, I guess. I don’t know. We lived in Nyssa when we first started the bowling alley. We were driving back and forth about twelve miles and hauled those pin setters back and forth. Sometimes we’d drop them off at home and sometimes we’d drop them off at the Rainbow. The building’s still there but I’m sure the local authorities have run that business out of town, I hope. I looked down the alley - that first year - down the alley. They called me up and said, “Please come. We’re short some pin setters.” I ran down or somebody came and got me. And I’m setting pins on one and two. We had eight alleys. And I looked over here and there’s Larry setting pins on three and four. And Dad’s setting pins on five and six. And Chuck Watanabe who had come in to bowl and had talked to my mom was setting pins on seven and eight. I think Mom talked him into it. So we had a good relationship with the bowlers. Dad was maybe a little too tenderhearted in some ways. He thought about folks that didn’t have anywhere to go on Christmas Eve. I enjoyed visiting my other Grandpa's farm. I had unrealistic dreams of maybe becoming a farmer. I never dreamed of running a bowling alley, but what a magical place that was to hang around and have free reign! We of course learned to bowl. And pretty well too, even if far from any competitive standing. And there were wondrous places in the back where we could watch the automatic pin setters at work (Manuel, Abo, Cousin, etc., long gone by those days). Grandpa had a very mysterious man of Asian heritage working for him as a mechanic to keep those machines going. There was a downstairs too with dressing rooms. I don't know if they were part of the bowling alley or left over from the old dance hall. And there was the "Cry-Room" which we couldn't figure out for quite a few years, but was the lounge where losers would go to drown their sorrows in a beer - and maybe a game of cards. We sort of worked at the bowling alley just to help out. We sprayed the shoes coming in and learned to handle the cash register there and at the snack bar. These were the old push button, mechanical kind But mostly it was just fun. While it was Grandpa's bowling alley, Grandma was the book keeper. She spent many long hours in the little room down at the end of the lanes - the opposite end from the "Cry Room" lounge. I think she really was the manager of the business. Grandpa did a lot of things, but I think the most important thing he did was to add "color" to the place - and his certainly wasn't pink. And it wasn't that "blue" either. At least not anytime I was around. One of our biggest adventures was to go with Grandpa to the bank in Payette to deposit the cash. But Grandma kept the books. My Mom behind me, my Dad behind his Dad, my Brother to the right. The Gay Way had a few pinball machines. My Grandpa, always adventurous, bought a fancy new machine you put quarters in to play "Pong" - Yes, the first, famous, video arcade game. In the 70s, the annex/entrance to the Gay Way was full of video games and was about the last money-maker going as a teen hang-out when the bowling alley shut down. My two eldest children at the former Gay Way 1989. We found some of the original pink on the east side. I took my little family to visit the Gay Way building in 1989. It was torn down in 1990 to make way for a more profitable strip mall after my Grandpa and Uncle failed to find any commercial use for the old structure. The property still had value. Grandpa cleared enough to have a comfortable retirement with summers in Boise and winters in Glendale, Arizona until they decided not to travel so much and settled sort of half-way between in St. George, Utah. My paternal grandparents are both buried in the beautiful cemetery high on the hill above Santa Clara. The bowl from the Gay Way. My Grandma would serve soup out of a can for us in these bowls. Sometimes I go into old bowling alleys to have a lunch at the snack counter. They all smell the same. Stale tobacco smoke and stale beer. The smell of leather shoes and the disinfectant - wood flooring and polish. And the rumbling sound of rolling bowling balls and the crash of pins with the whirring and clanking of machinery to scoop them up and set them again. And the smell of Campbell's Tomato Soup hot in the bowl. A matchbook cover from the original dance hall!! (pre-1953) h/t JD Doyle below. Well, I had to search the article to find your name because I wanted this letter to be personal, and I found it at the very bottom of the page, so…. As I was doing a little research, I typed in George Vaughn Idaho, and the link that caught my eye had the word “Fruitland” in it, so I went to your site. The reason it was of interest to me is because George was my uncle! My name is Barbara (Meyer) LeFevre, and my mom, Bertha, was George’s youngest sister. That would make us first cousins, once removed! I can’t tell you how excited I was finding and reading this little nugget about my family. Aside from just knowing about Uncle Georges and Aunt Dorothy’s bowling alley, it is one of my memories, too, albeit not to the same degree as yours, which sounds truly wonderful. 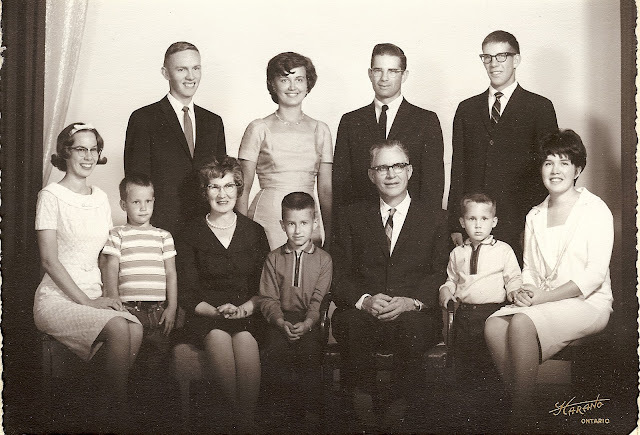 Sometime in the early 60s, my family went on vacation, and one of our stops was Fruitland. There’s something very special about visiting relatives that you never get to see, and I was not disappointed. Uncle George seemed larger than life to me, and what stuck out about him, for me, was that big, old cigar that never seemed to be far from him!! Of course, there was bowling involved, and one memory that I have shared numerous times is that he shut the bowling alley down for us. I felt pretty special. I got to see Aunt Dorothy in 1997 when my kids and I stopped in St. George on our way to California for vacation. It was nice seeing her and to be able to catch up on things. The only sad note was that Uncle George had passed six (I think) months prior to that. Although Uncle George is gone, his name will live on, at least his middle name. When my daughter and son-in-law had their son 2 ½ years ago, they couldn’t decide upon a middle name to go with Miles. Of course, we went through all the Vaughn names, but none of them said ‘yes’ to them. I suggested “Ellis,” but because it was my grandmother’s name, they weren’t crazy about giving it to their boy. What changed their minds was that a man, a manly man, had it for his middle name! I would love to hear from you and to learn about your family. Also, you didn’t your mom in the family picture. Is she Carolyn or Kathleen? How are Larry and David? P.S. Your article was great. If I even knew the name of the bowling alley, I forgot it, but the Gay Way/Pink/Fruitland thing…funny! You are right. You can’t make that stuff up! Thank you for sharing the story about Gay Way Bowl. I was describing it to some coworkers and they couldn't comprehend a "pink" bowling alley. I decided to see if there was anything on the Internet and low and behold, your story came up. I learned to bowl at Gay Way Bowl. I also was one of the teens that spent plenty of time in the game room in the late 1970s. At the time, I believe a man by the name of Lloyd ran it, but I can't be sure. Nonetheless, your story brought memories flooding back to me. As a kid, there was a television show called "Real People" where you would send in funny items from around the U.S. I sent them pictures of Gay Way Bowl, told them it was in the town of Fruitland and had the old truck parked out front advertising the television repair shop of "Two Guys TV" which was situated in Payette. They sent me back a letter saying it couldn't possibly exist. Oh well. Thanks again for sharing. I very much enjoyed reading and remembering. 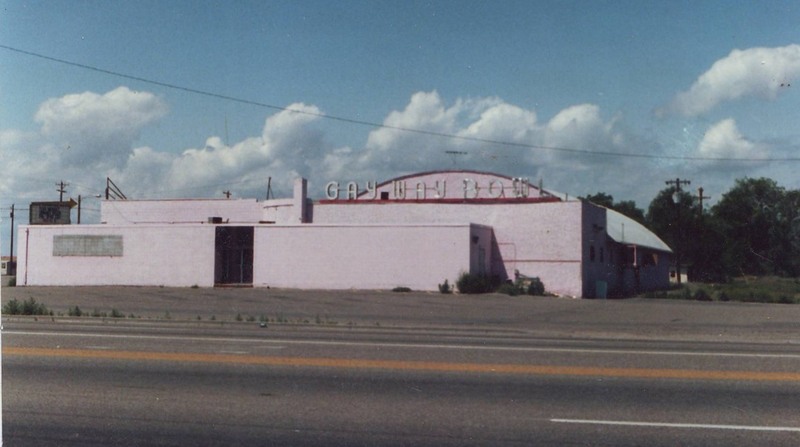 I understood that the name 'Gayway' was from the dance hall that occupied that location Pryor to the bowling alley.. I was also told long term residents that the dance hall also housed the Grange, called Gayway Grange. It burned down and rose again as Gayway Bowl. It was always one word. Thank you so much for the comment and clarification! I'll look for some old printing/letterhead I think we have from the bowling alley and see if there's a space. I have a matchbook from it, and it has it "GAY-WAY"
Wow! That is a great historical artifact! I will insert it at the end of the post as the comments don't even allow url links. Thanks, JD! This was a great read! I grew up in Nyssa. I remember the pink Gayway bowling alley building well! Oh Yes! Mayden family lived in that area for,,,,long time. Thanks! good to hear from you! I remember Dorothy, George and David pretty well. Remember picking some great cherries on cherry tree @ Geo and Dorothy home on corner in Fruitland and lovely home they had. Sitting in bar area playing cards with Geo, he loved cards and taught me how to play gin rummy, paid me $.75 an hour then would win it back playing cards!!! I started bowling when I was 6 and bowling adult league by 16. So much fun growing up in the bowling alley, wouldn't wanted my life to be any different !!! I am a Pastor in Layton Utah. www.fbcutah.org last Sunday night I was describing how words change meaning and used the Gay Way Bowl in Fruitland Idaho as an example!! I forgot to tell them it was PINK. I would love to see as many pictures you may have of the inside ot the gay way bowl...i was a kid when it was up and going and i played on a bowling team in 1974...i was in 4th grade. I remember the game room too. It was a fun place to go. I wish I had more! I'll keep checking with other family members. Do you know how Gay Way got its name? We have family lore...my Grandpa, Don Graham, was an avid bowler later in life. Anyway, the story is that there was some kind of contest to name the junction a long time ago. He and Grandma had just had their first child, named Gaye. (My aunt). The story is that he entered the contest with "Gay Way" in part in honor of his daughter, but also the double entendre of gay=happy. Think there is any truth to it?? School Teachers - Our Real American Heroes!